The Woods Hole Film Festival is the oldest film festival on Cape Cod and the Islands and is celebrating its 24th year this summer. Independent and emerging filmmakers will come together and premier over 100 films and 8 short programs. Programs include workshops, master classes, panel discussions and parties complete with live music. 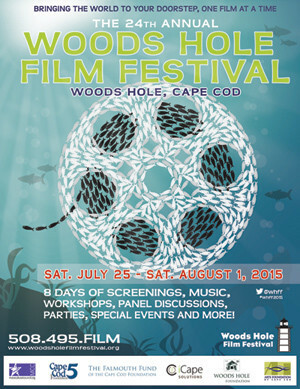 Spotlighting the history and beauty of this region is a goal of the Woods Hole Film Festival and those films that feature or have a connection to the Cape or the surrounding New England geography will be especially highlighted. Another way the festival honors the beauty of the area is through their venue choices. 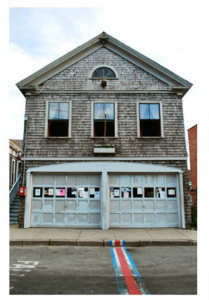 From the Old Woods Hole Fire Station, to iconic restaurants and landmarks, you’ll watch these films and attend accompanying events in some of the most loved buildings in town. This year, in addition to the Woods Hole locations, Falmouth Academy as well as Falmouth Cinema Pub will also be featuring films. Opening night will feature Maya Forbes‘ (Cambridge, MA native) directorial debut “Infinitely Polar Bear” which features Mark Ruffalo and Zoe Saldana. Other highlights are expected to be Richard Ray Perez‘ film “Cesar’s Last Fast,” a documentary chronicling Cesar Chavez’ struggle to secure humane and fair treatment for America’s farmers; and Sally Taylor‘s, (daughter of James Taylor and Carly Simon) presentation of her documentary. Preparation for Taylor’s documentary “Consenses” began when she asked 150 artists over the span of two years to interpret each other’s work and share their reactions. The documentary reveals those reactions and evolves into a greater conversation about human reaction and the understanding of art as it pertains to the individual. There will be multiple events each day, and tickets are available online through Woods Hole Film Fesitval’s website. This is a highly anticipated and extremely well attended event each year and 2015 promises to deliver!